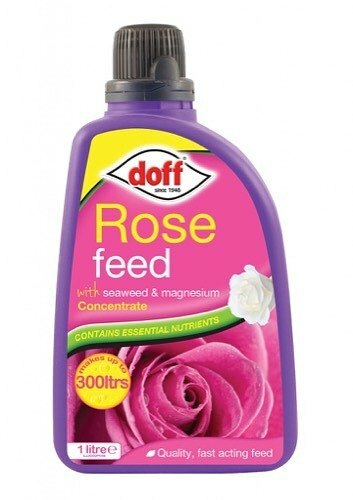 Doff Rose Feed is a concentrated liquid feed which is a quality fast acting feed with seaweed and magnesium to encourage healthy growth and promote large blooms. Fast acting liquid plant food to promote healthy growth and large blooms. Simply add 15ml (1 inner capful) to 4.5 litres of water and this will feed around 9 plants. Apply at 2 week intervals from March - September. Makes up to 300 Litres.